Is Serial Driving You Slowly Insane? Come Sit By Me. If you like closure, don't listen to Serial. The addictive podcast investigates the 1999 murder of Hae Min Lee, a Maryland high schooler and Adnan Syed, who was convicted of her murder. Host Sarah Koenig is thoroughly engaging but she might not be able to find the real murderer—since it seems like Adnan is innocent—and it's driving some people nuts. Nuts! Surprisingly, someone's stance on "Serial"'s ambiguity may actually tell you a lot about who he or she is as a person. It likely reflects a deep-seated, extremely important psychological characteristic called need for cognitive closure, or need for closure (NFC) for short. NFC refers to your general orientation toward uncertainty: Does it matter to you whether or not things are clear-cut? How do you handle ambiguity, whether in real life or fiction? 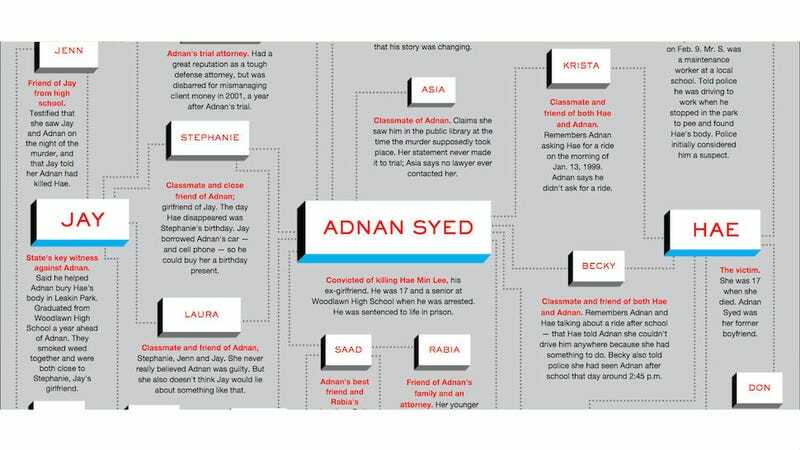 If your NFC is high, you really need Serial to end definitely on either side of Adnan did or did not kill Hae. I want that clarity, too, but deciding where the truth lies too early takes the fun out of listening to Koenig poke around on tape. Besides, real life rarely delivers the closure of a Law & Order episode.